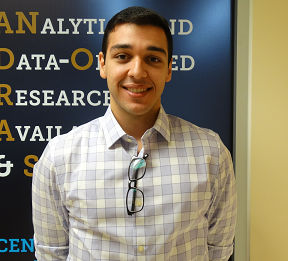 Jonathan Sarochar is currently pursuing a Master’s degree in Computer Engineering at FIU. He received his Bachelors of Science in Electrical Engineering in 2017, collaborating on projects with Dr. Arif Sarwat since then. 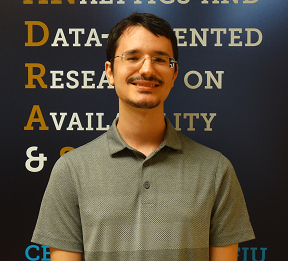 Currently, his research includes studying and developing machine learning models for prediction and synthetic data generation for smart city simulation. Also, he is a leading member of the Advanced research on Integrating Emerging and Existing Systems (ARIES) group, where the group works closely with Florida Power & Light to develop and integrate new grid control systems and software.He has skills in hardware and software embedded systems, IoT integration, machine learning development, and general programming in C, C++, and Python. 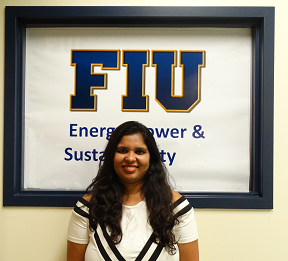 Largely interested in the field of power systems and aims to improve the current and future smart grid. Alexander Hernandez received his Bachelor’s degree in Biology and Chemistry at FIU. He is currently working as a Graduate Research Assistant pursuing his M.S in Electrical Engineering, while under the supervision of Dr. Sarwat. His research involves battery management systems, and their application on various energy storage devices. He has experience in embedded systems and C/C++ programming languages. He is interested in the field of batteries, especially in large scale applications for electric vehicles and grid related infrastructure. Ipsita Acharya has completed her bachelor’s in Electronics from India and has worked for 6.5 years in I.T companies like Capgemini,TCS and Deloitte as a software developer on Microsoft Technologies like Dotnet,ASP.NET and WCF. She has knowledge in domains like Media and Entertainment,Insurance and Public Health sector.She is currently doing her Master’s in Computer Science and is working as a Graduate Research Assistant with Dr. Arif Sarwat on Simulated and Synthetic Data for Interdependent Communications and Energy critical infrastructures which includes Data analysis using python and Machine learning Algorithms. Tanwir Khan received his Bachelor’s degree in Computer Science from KIIT University, Bhubaneswar, India. 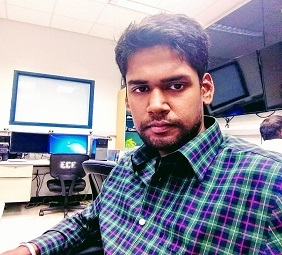 He is currently working as a Graduate Research Assistant, pursuing his M.S degree in Department of Computer Science, Florida International University under the supervision of Dr. Arif Sarwat. His current research includes reliability analysis of Advanced Metering infrastructure meters(Temperature/Humidity), and life expectancy and accelerated aging of Smart Grid products and components. He also has IT industry experience of 4 years and has worked in Big data and Automation testing related projects.